My husband has an Amish “friend” named Levi. He is completely ignorant of current events…choosing to be isolated from the world. Some of our home-schooling “friends” have also closed out all references to our globe’s inhabitants. They don’t access the internet, or even own a television. They literally do not know what’s happening outside of their homes! I went out of town on vacation recently and spent a week without internet connection. I was forced to “let it go.” After experiencing a few days of media-silence, I believe that I too could be tempted to “turn off” the world for good! I did have to return home though, where I immediately learned of the police shooting of an “unarmed black teen” here in America, and the ISIS-beheading of a US journalist in Syria. 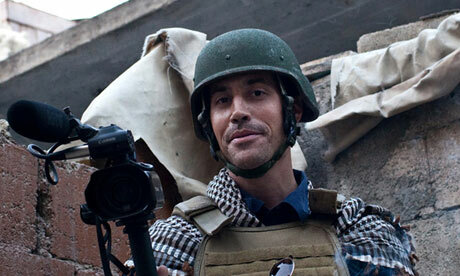 Film footage of the foolishness occurring nightly in Missouri is easy to find, but it took a while to track down a link to the video of the beheading of James Foley. (I did not post that link here however, nor did I view it! This vile evil is too much for any good person to behold). As irritating as it is to watch the criminal behavior of hundreds of rioter in Missouri…and as appalling as it is to even just read of the gruesome murder of an American in the Middle East, I believe it is the Christ-follower’s responsibility to know what is happening in this world…and act! I can’t say exactly what that is for you, but I know there is something for each of us to do!